The fact that drying is one of the earliest methods used to preserve food is not known to many people. The prehistoric humans often dried all their fruits and meat when they wanted to store for the extended periods of time. The popularity of drying food for long-term storage in the prehistoric era most probably arose because of its simplicity. 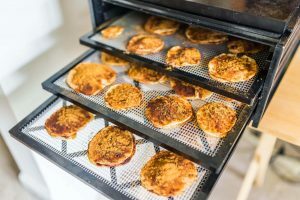 Even today, drying is preferred to freezing and tinning, as it does an excellent job of retaining the flavor and nutrition of food for extended periods. 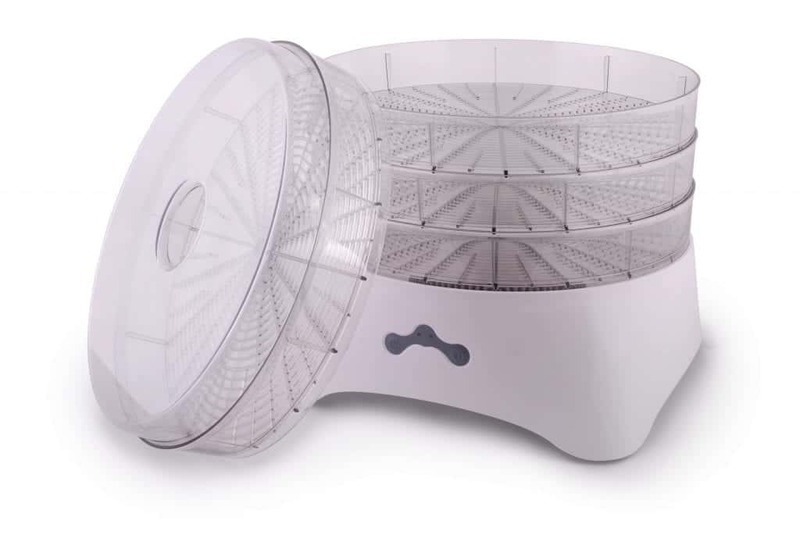 Unsurprisingly, dehydrators have become so popular that they are most likely found in almost all households now. People are now more than ever conscious about the food they eat and hence prefer to make their own dried food for consumption instead of the ones available at supermarkets. Contrary to popular belief, usually no additives are used when drying foodstuff. 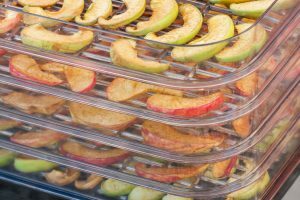 While dehydrators are not exactly cheap right now, with increased usage, their prices are bound to reduce in the coming days. After all, it is impossible to put a price on good health. Fortunately though, using dehydrators is not rocket science and can be learned with ease by almost anyone. 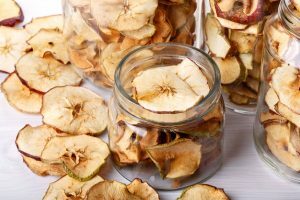 However, there are specific facts that people should be aware of while using dehydrators, the ignorance of which has often led to improperly dried food and malfunctioned dehydrators. 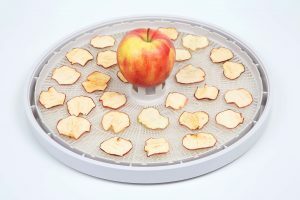 In this article, we shall discuss, what are the mistakes one should avoid when using dehydrators. The importance of adequately arranging food to be dried in dehydrators cannot be stressed enough. More often than not, people place other pieces of food over fruits and vegetables, and this should be explicitly avoided. Doing this will result in the fruits and vegetables being dried incompletely. This is especially true in dehydrators which dry food vertically. For the dehydration process to occur thoroughly, the heat from the bottom should be able to permeate to the top at a uniform rate. 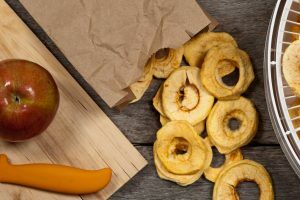 If there is any hindrance in this process, then the process of dehydrating the food will take unusually long periods of time which unnecessarily wastes power. 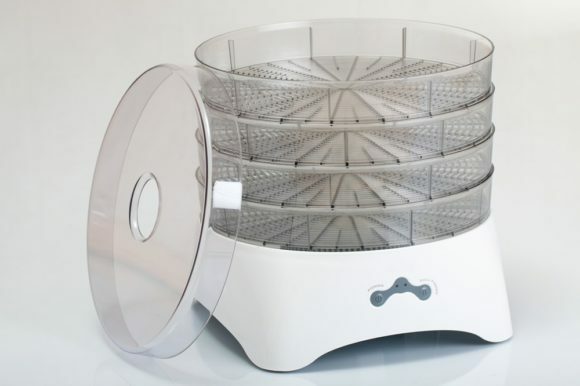 It is advisable for people to take extra care to ensure that drying trays are spaced uniformly in the dehydrator, as it provides optimum dehydration with minimum power consumption. To those who are uninitiated, blanching is a process wherein vegetables or fruits are scalded in boiling water and then exposed to or immersed in cold water to stop the broiling. Even though blanching is not a must, it is advisable for fruits and vegetable to ensure that the food can be stored for more extended periods than usual. It is imperative that people understand that, blanching denatures the natural enzymes found in the fruits and vegetables and it is because of this denaturing, that they can be stored for more extended periods of time post dehydration. Furthermore, blanched fruits and vegetables will remain fresh in case if they were ever re-hydrated again. 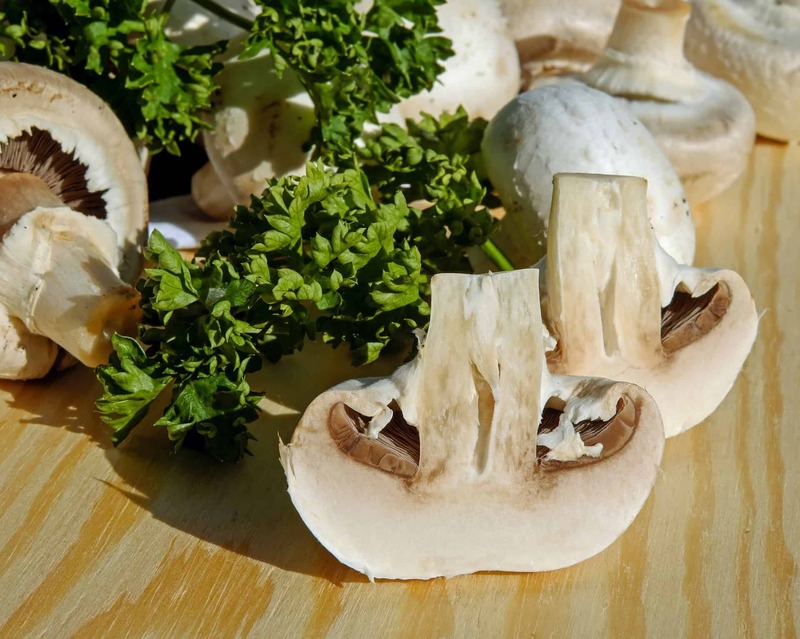 Most people are unaware that food needs to be sliced and diced uniformly before putting them into dehydrators. Not cutting them equally will often result in uneven dehydration as each piece dries out at a different rate based on its size. 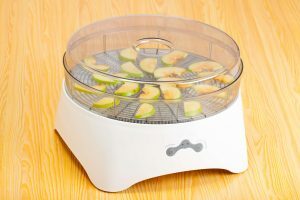 Furthermore, dehydrating uneven slices of fruits and vegetables together will need constant checking in on it. 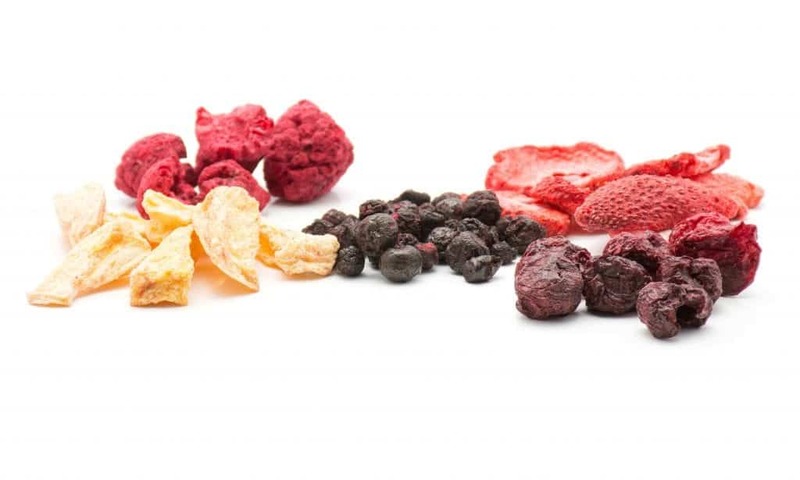 Also, certain fruits and vegetables dry at different rates, so people are better off verifying this before dehydrating combinations of fruits and vegetables together. If one is unsure of it, they may need to check in on the state of the food regularly to prevent excessive dehydration. The pleasant taste of fruits and herbs often arises from its distinctive scent and flavors. 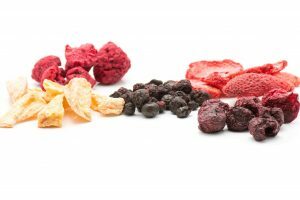 Dehydrating pungent foodstuff like fruits and herbs together is a big blunder that one has to avoid at all costs. Drying them together will result in their flavors getting mixed up which robs them of their distinctive taste. Such mixed flavor fruits or herbs cannot be used in any cooking, as it spoils the taste inadvertently. The dehydration process generates excessive moisture which often finds its way out into the surrounding areas of the dehydrator. Many a time, this moisture contains oils which can irritate people in the rooms where dehydrators are being used. Hence it is crucial that people ensure that there is adequate ventilation in the places where they are using the dehydrators. You need to be especially careful when you are dehydrating strongly flavored foodstuff like peppers, onions and other vegetables. It is advisable to use corn syrup or honey to sweeten dried fruit leather as it will be quickly absorbed. 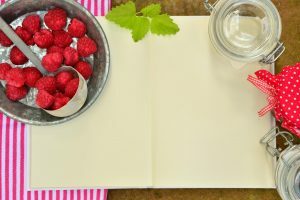 Using sugar is not recommended as it will be unable to sweeten the interior portion of the fruit leather and also makes it difficult for it to be cleaned in the end. Using corn syrup or honey instead takes care of most of these problems. It is strongly recommended for people to use mitts to manage the hot trays/plates from dehydrators irrespective of their experience. Many a time, these trays are a lot more heated than expected, and people are more likely to hurt themselves if they are not careful in its handling. A little care goes a long way in having a pleasant experience using dehydrators. Most people do not realize that sprinkling lemon juice over foodstuff before dehydration is not a good idea for all kinds of food. This is more common in the case of leafy vegetables or the ones which are green in color. As lemon juice contains citric acid in significant quantities, it reacts with green or leafy vegetables by tarnishing its color. This makes the vegetables look a lot less desirable and hence needs to be avoided at all costs. 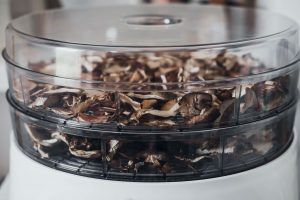 How To Efficiently Dehydrate Mushrooms?